The competition was held in two sports halls in order to achieve the highest quality. 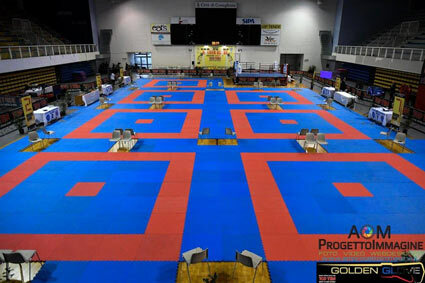 In the big sports hall there were fights in the tatami disciplines (Point Fighting, Light Contact, Kick Light and Musical Forms), while in the another sport hall a competition was held in ring disciplines (Low Kick, Full Contact and K-1). 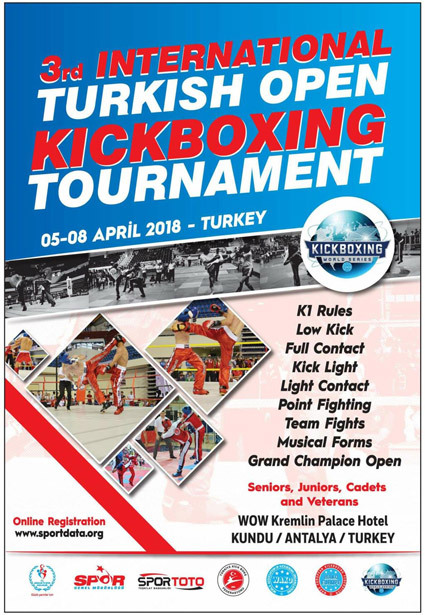 On the first day of the competition, on Friday, February 9, team battles and musical forms were held, followed by an evening gala event in which the selected contestants in the 8 fight fought for the special and very attractive kickboxing belts. On the second day of the competition, on Saturday, February 10, a lot of competition (in point fighting) was held in the city sport hall, while at the same time a fights in ring disciplines was held in the gymnasium hall - qualifications in all ring disciplines. 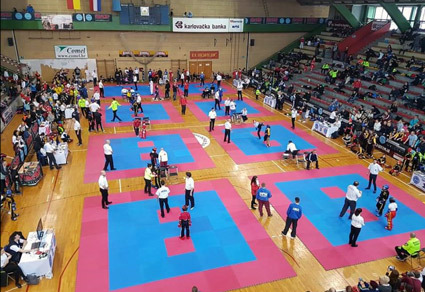 On the third day of the competition on Sunday February 11 were held in the city sport hall of the light contact and Kick light disciplines, while the finals of all categories in the ring disciplines were held in the smaller gymnasium sport hall. The competition ended without any serious injury, which can be thanked to very high-quality judges - more than 70 judges and referees from almost all participated countries (chief referee for tatami sports was Gina Englehardt from Netherland and chief referees for ring sports were Zoran Šimurina from Serbia and Tomislav Novosel from Croatia) who have done their job at a very high level of professionalism. 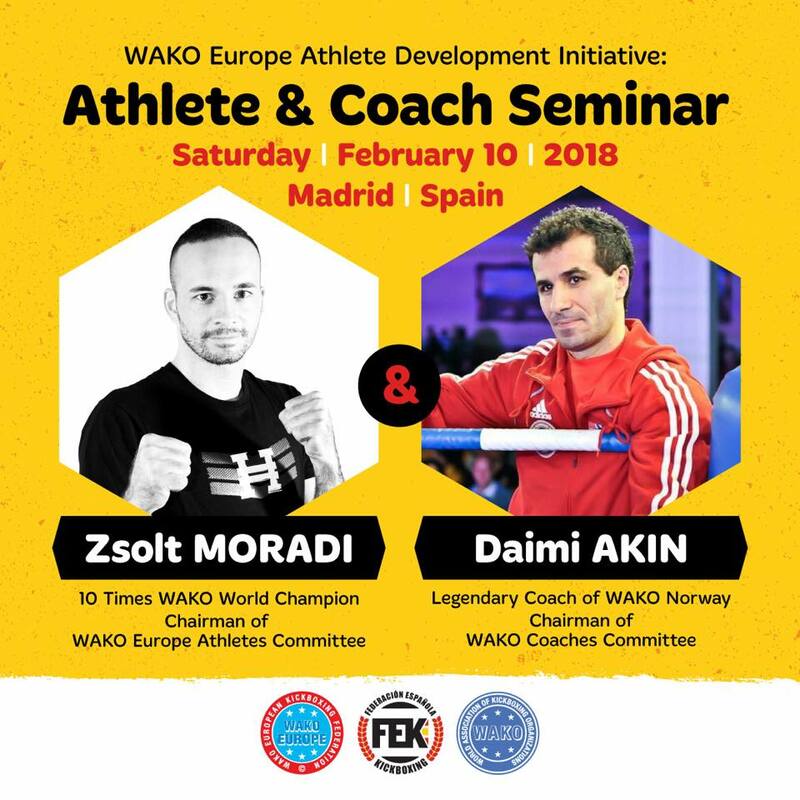 The WAKO organizing committee that arrived in Karlovac has prepared the competition program so well that, despite a very large number of competitors and fights, each day the competition ended around 8 pm. MONTREAL, 15 FEBRUARY 2018 – The World Anti-Doping Agency (WADA) announces the suspension of its accreditation of the Bucharest laboratory in Romania for a period of six months. This suspension was imposed due to a number of non-conformities with the International Standard for Laboratories (ISL), which on 29 November 2017, resulted in the laboratory being provisionally suspended. Since that date, disciplinary proceedings were carried out by an independent disciplinary committee mandated to make a recommendation to the Chair of the WADA Executive Committee regarding the status of the laboratory’s accreditation. The suspension, which is backdated from the point of the provisional suspension, prohibits the Bucharest laboratory from carrying out any anti-doping activities, including all analyses of urine and blood samples. During the period of suspension, samples that have not yet been analyzed by the Bucharest laboratory, samples currently undergoing a confirmation procedure and any samples for which a confirmation procedure (A and/or B) is required, must be securely transported to a WADA-accredited laboratory. This is in order to ensure continued high-quality sample analysis, which also helps preserve athletes’ confidence in this process and the wider anti-doping system. Under the terms of Article 13.7 of the World Anti-Doping Code, the laboratory may appeal this decision to the Court of Arbitration for Sport within 21 days of receipt of notice. The laboratory shall now address all non-conformities identified by the Laboratory Expert Group and WADA in any request for corrective action or otherwise, as well as any additional non-conformities identified during any WADA site visit during the suspension period. If the laboratory satisfies the disciplinary committee in meeting these requirements, it may apply for reinstatement prior to the expiry of the six-month suspension period. However, should the laboratory not address them by the end of the six-month suspension period, WADA may extend the suspension of the laboratory’s accreditation for an additional six months. According to the ISL, WADA is responsible for accrediting and re-accrediting anti-doping laboratories, thereby ensuring that they maintain the highest standards. This monitoring process is conducted in conjunction with International Organization for Standardization assessment by independent national accreditation bodies that are full members of the International Laboratory Accreditation Cooperation. 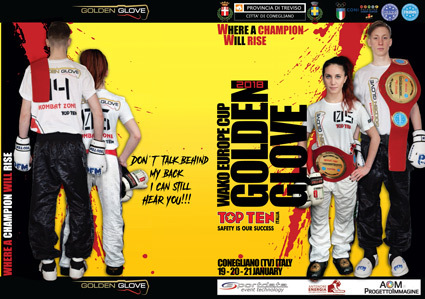 The 13th edition of the Golden Glove - an international event and a must for local kickboxing lovers - was held on January 20th and 21th in the new Zoppas Arena, near the city of Conegliano. The Arena housed 8 squares and a giant screen that projected images from the previous editions, and staged numerous competing fighters - about 85 clubs and 1000 entries - the half of which were international athletes from a dozen of foreign countries. 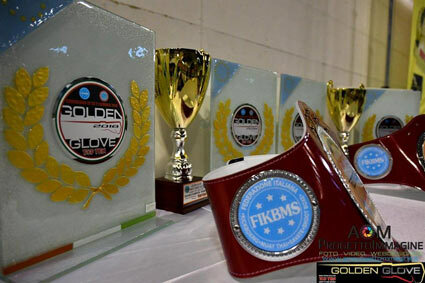 The Wako Europe Cup Golden Glove 2018 - an event supported by the World Association of Kickboxing Organizations - was arranged by the Europe Center One club in association with the Venetian Regional Committee of FIKBMS - the Italian Federation - and with the help of ZenShin, an association from Mareno di Piave. The competitions started on Saturday with 15 K1 matches, a style that was staged for the first time in this Europe Cup. The day continued with the Light Contact and the KickLight divisions, and with the Tag Team in the evening. Sunday was dedicated to the individual Point Fighting, to the amazing Grand Championship, and the TopTen Kombat Zone tournament shows. The opening ceremony stirred deep emotions, with the drums and the flag-wavers of the association "Dama Castellana" (Lady of the Castle), who preceded the entry of referees and children holding the signs of the participating nations (Italy, Austria, Belgium, Croatia, Czech Republic, France, Hungary, Liechtenstein, Holland, Slovenia, Ukraine, United Kingdom). The President of FIKBMS, Donato Milano, proudly expressed the importance of pairing culture and sport: “When sport is combined with culture and tradition, success is assured, as Italy has a history that must be remembered, and sport is part of it”. The TopTen Kombat Zone, a competition at the highest level, saw the knockout of top fighters from all over Europe. After an exciting performance, the Italian fighters Riccardo Albanese (Fire Generation Team) and Martina Rossi (HMD Italy Team) won the belt, the original handmade Murano glass trophy, and the cash prize. The Men Grand Championship was also amazing and displayed a podium dominated by the Hungarian Kiraly Team - composed by the Veres brothers (Richard and Roland) - the Slovenian athlete Kolander Tadei, and Riccardo Albanese (third place). Italy won the highest place of the podium in the Women Grand Championship thanks to Martina Rossi (HMD Italia Team), and the third place with Deborah De Vita (KBA Team). At the end of these two days of amazing challenges, the President of the Europe Center One club, Luca Terrin, proud of his staff, told us: "We are already devising new ideas for the next year. This competition is constantly growing and we are confident that the National Federation is keeping an eye on an event that for years has been attracting to Italy formidable top fighters. 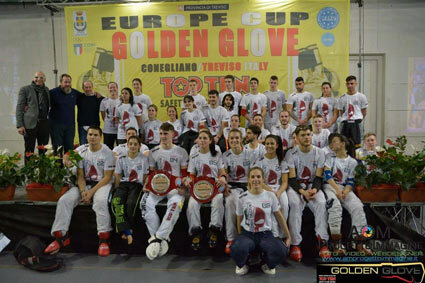 Meeting high level athletes and coaches help us improve, and I would like to thank all teams and referees for their contribute, and our main sponsor, TOP TEN Italia, that provided the equipment to set up a wonderful arena and gifted each winner with a beautiful pair of gloves”. The competition was sponsored by CONI (the Italian Olympic Committee) of Veneto, the Province of Treviso and the Municipality of Conegliano. The next edition of the Wako European Cup Golden Glove 2019, is already in progress.